It is another promising year for Suzuki Philippines Inc. (SPH) as the only integrated automobile and motorcycle company in the country adds two branches to its long roster of newly-opened dealerships: the Suzuki Auto South Cebu, and the SM Seaside City Satellite, both in Cebu City. Last year’s rapid expansion of the automobile brand saw more than 10 new dealership launches, which the company hopes to top this 2016. 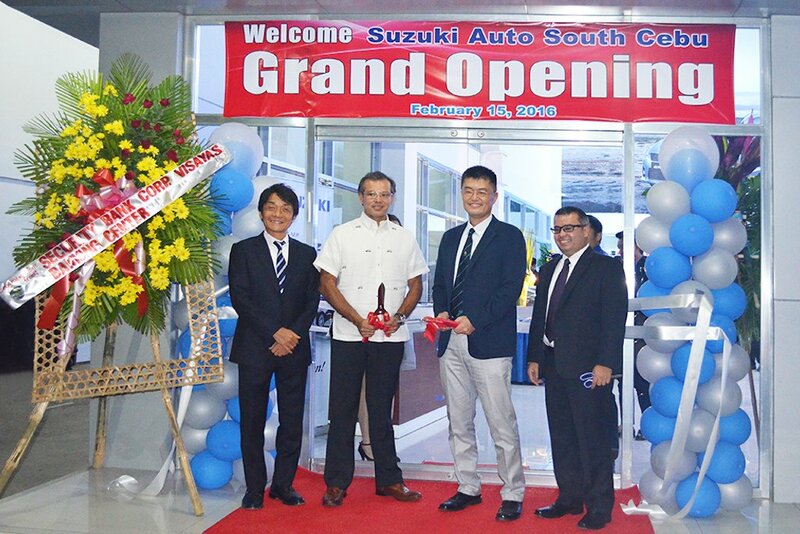 Both owned and managed by Sakura Autoworld, the two new sites inaugurated last February spreads the Suzuki Way of Life to more motorists in the booming city of Cebu. The opening rites were led by Suzuki Philippines President Mr. Hiroshi Suzuki, General Manager for Automobile Mr. Shuzo Hoshikura, Sakura Autoworld President Jose Daniel Borromeo and General Manager Marco Gabriel Borromeo. Suzuki Auto South Cebu, a 3S (Sales, Spare parts and Services) shop, is tactically situated at the very commercial South Road Properties, Mambaling Road, Cebu City. It started its sales operations as early as June 2013 and the dealership construction was completed in February 2015. Meanwhile, the Suzuki SM Seaside City Satellite showroom is conveniently accessible inside SM Seaside City, the eighth largest shopping mall in the world. The showroom began operating in January.